Maria Nieto, 93, passed away Monday, December 03, 2018 in her home. Rosary will be said at 6:30 P.M. Thursday at Abilene Funeral Home. Mass will be 1:00 pm at St. Francis Catholic Church with Father Isidore officiating. Burial will follow in Abilene Municipal Cemetery, directed by Abilene Funeral Home. 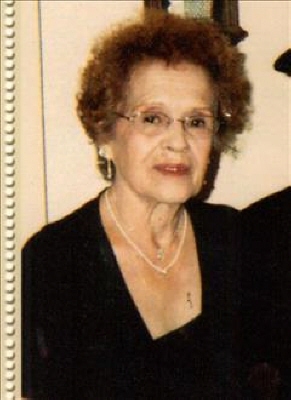 Mrs. Nieto was born June 01, 1925, in Mathis, Texas to Isidoro and Josephina Romero. She married Macario Nieto on December 31, 1943. She was a resident of Abilene since 1960. Mrs. Nieto was employed by Hendrick Medical Center for many years. Mrs. Nieto was preceded in death by her husband Macario Nieto, parents Isidoro and Josefina Romero, 1 daughter Elda Rodriquez, 2 grandchildren Johnny Gutierrez and Melinda Picon, 4 sisters and 2 brothers. Survivors include 2 sons, Mario Nieto and wife Maria of Hawley and Jesse Nieto and wife Sylvia of Abilene, three daughters Elva Marquez and husband Vance of Victoria, Texas, Esmeralda Adame and husband Bobby of Lubbock and Maria Baladez and husband Oscar of Anson, 31 grandchildren, 83 great- grandchildren, 63 great- great -grandchildren, 13 great- great -great grandchildren, and many nieces and nephews. Pallbearers will be John Marquez, Joshua Marquez, Mario Nieto Jr., and Jesse Nieto Jr., Oscar Baladez Jr., and David Rodriquez. Honorary Pallbearers: Valentin Marquez Jr., Johnny Gutierrez, Raymond Rodriquez, Noel Rodriquez, Eloy Rodriquez, James Marquez and Carlos Gutierrez. Maria was loved by all her family. To send flowers or a remembrance gift to the family of Maria Nieto, please visit our Tribute Store. "Email Address" would like to share the life celebration of Maria Nieto. Click on the "link" to go to share a favorite memory or leave a condolence message for the family.